Here Are The Most Important Things To Consider When Throwing An Old-School Movie Night In The Great Outdoors. Here’s The Best Outdoors Projectors And Screens Available Today. All YOU Need Is Popcorn! When considering to purchase a cinema projector, it’s best to pay attention to what your needs are rather than what the price of the projector is. We don’t recommend that you buy a more expensive projector if you won’t be making use of all its additional features. When companies refer to HD without qualifying it, they may be talking about several different standards of screens, picture resolutions, or broadcasting technologies: 720p, 1080i, or 1080p. The numbers refer to the horizontal rows of pixels in an image — its pixel height. For 720p, each frame of video then has 1,280 columns of pixels. In the 1080i and 1080p standards, there are 1,920 columns of pixels. Resolution specifications such as 1,280×720 and 1,920×1080, therefore, refer to the width and height—in pixels—of an image, video, or screen. The “i” in 1080i refers to interlaced scan, which first draws the odd horizontal lines of an image on the screen, followed by the even lines. This means that each frame has a resolution of 1,920×540, and two frames are required to make up a full 1,920×1,080 image. This will be the Most entry-level Buyer's Guide to what the specs mean let's start with resolution what, is resolution when you are looking at your screen you will see the screen is made up of dots. The more pixels on the screen the better your picture quality is so we want a high number of Pixels now we look at resolution 1920 x 1080 what does this mean it means that this is a high definition 1080 p projector You home theater guys this is the spec you start looking for the other is contrast ratio what is contrast ratio it is the measurement of blacks to whites always go for the higher number for those deep black images but in my opinion the most important thing to look for is lumens what is lumens, lumen is the measurement of brightness the bigger the number the brighter the projector brightness again go for the highest affordable number. The only things you need when planning an outdoor movie nigh﻿t is just the projector screen, refreshments and sandwiches. However, the process of purchasing an outdoor projector is very different compared to other consumer products. There are many variables that go into buying an outdoor projector and to get you started, let’s look at the different types of projectors. The aim of this article is to shed some light on what features you need to consider in buying an outdoor cinema projector. You will also learn which kind of product would have the features you would need most while helping you spend less money. 100-inch Diagonal, 16:9 Aspect Ratio. Assembles in minutes without the use of tools! Cinema Matte White 1.1 Gain, 4K Ultra HD, 2D and 3D Projection Ready. A lumen is a unit of brightness derived from an old standard measurement known as a candle. The higher the lumens number, the brighter you can make your image. The contrast ratio is displayed as a ratio, such as 1000:1. In this ratio, one (the number on the right of the colon) is always used to represent the darkest black level of the image in which there is still visible detail. The number on the left side of the ratio corresponds to the level of brightness at which an image still contains detail. 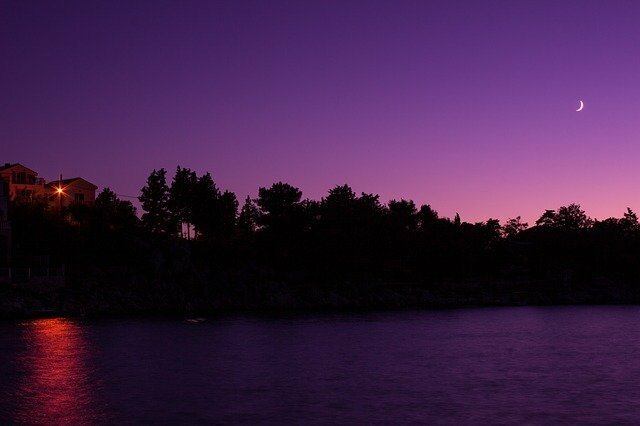 This equates to what is often called the dynamic range of an image. generally speaking, the higher the number on the left, the more dynamic a picture you’re going to see, even with interference from ambient light sources. You have to consider if you are going to use the projector in daylight as well as night time there are many variables that go into buying an outdoor projector and to get you started, let’s look at the different types of outdoor projectors for night time and daylight. The only things you need when planning an outdoor movie night is just the projector screen, and chairs to get comfortable in. However, the process of purchasing an outdoor projector is very different compared to other consumer products. Gamers always try to make their gaming sessions more enjoyable, and for that, they buy an expensive monitor. One of the best things you can get is a gaming projector and play your favorite games almost anywhere. Gaming projectors are not that expensive, and they can also be used for watching movies, videos and much more and of course gaming! but don't take my word for it. Try a gaming projector for yourself. You can transform your room into a theater, watch movies on the big screen and game on it too! When you're choosing a projector, you will want to prioritize high frame rate to reduce motion blur in action games, pick a projector with a higher lumen count if you want to play in a room with a lot of ambient light. There are a few more important necessities to keep in mind when you want to use your projector for gaming. The room you plan to have your projector in, and more specifically the amount of ambient light in that room can drastically affect the image quality of your game. If your room lets in a lot of light you’ll want a projector that outputs around 2500 lumens or more. A light-controlled room will be fine with a 1500-2000 lumen projector. An outdoor projector is a sizeable purchase and as such, taking inventory of what you need and narrowing it down to a specific type is important. Here is a closer look at the different types of outdoor projectors. This utilizes millions of micro mirror technology and standard lamp light source todeliver detailed images to your screening surface. It is known for less pixilation and better projection. DLP projection is commonly used in movie theaters and provides enhanced viewing experience as compared to LCD technology but at a higher cost. This technology was introduced in the 1980s and utilizes three mirror configuration as well as liquid crystal displays to cast video images onto a screening surface. And while it may sound like an antiquated technology, it has been modernized during the past two decades and now offers brighter projection. 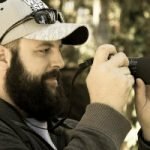 It isn’t the crispiest of technologies but is a great option if you are on a budget. This is a combination of LCD and DLP projection technologies. It is designed to limit the deficiencies and maximize on the best qualities of both technologies to offer the ultimate video viewing experience. LCOS projections offer the crispiest and brightest images and can be very costly for the average consumer. They are also hard to find. Many manufacturers are designing projectors that can be connected to your device directly without the need for USB or wires. This function works more or less like other modern DVD players that have Wi-fi connectivity. You can stream Chromecast, Netflix or other services as long as you are near a strong signal. Consider the strength of your wifi signal in the backyard before purchasing a wireless projector. Many projectors require the use of external wired connection such as USB or HDMI connection to deliver visual content. 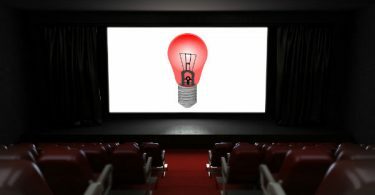 Such movie projectors receive content from third party devices including laptops and Blueray players that require wired connections.If you are on a budget, a projector that utilizes wired connection is a cheaper option compared to one that uses wireless connection. Nothing is quiet like sitting down with friends and family to watch a movie. And when the weather is great, you can always take this adventure outdoors and utilize a projector screen to enhance the experience. The good news is that there are many outdoor movie projectors available on the market that can be used in daylight and night time. But the question remains – which are the best outdoor HD projectors? And should I get a movie projector for use in daylight and night time here are the reviews of the best that Amazon has to offer. Other than being lightweight, this product is very portable, which is definitely a huge bonus. This is because of the fact that it is as thin as a laptop and projects wirelessly. With 3200 lumens projection and 3LCD technology, the Epson Powerlite 1781W will have everyone thinking they should have purchased a ticket. It’s a bit pricey, but as far as home electronics purchases go, this is the best outdoor movie projector you can ask for. It doesn’t have wi-fi connectivity but where it matters most, it delivers. It has very bright projection and utilizes 3LCD technology to deliver sharp images. This is a small sized outdoor projector that’s versatile and comes with advanced features. This projector has been rated as the #1 Epson Image Quality Projector. Even though it isn’t completely wireless, it only uses one cable. What’s more, it is compatible with the newest media players and laptops as well as HDMI. It comes with 3000 lumens of white brightness and 3000 lumens of colored brightness, which allow for crisp, sharp images. It also offers up to 5000 hours of lamp use in normal mode and 10,000 hours in ECO mode. And while it does feature manual digital zoom, it does so with exceptional clarity. The viewable screen size with the VS240 is 30-350 inches. It has built-in 3 chip technology that offers quality life-like image detail. USB and HDMI connections allow you to deliver content from phones, media players and laptops easily. The Epson VS240 is an impressive outdoor projector that covers all the bases and which is a great option if you are on a budget. When it comes to exceptional outdoor screening experience, the Acer C120 is a serious contender. Whether you are watching a movie or gaming, the images cast by this projector are stellar. It guarantees up to 20.000 hours of lamp use on extreme eco mode, meaning that it’s a great purchase for heavy users. This projector is possibly the best option if you are constantly travelling, as it can fit in the palm of your hand and fit in your pocket with a mere weight of half a pound. It is also powered through a USB cable, which makes it handy as you can use a phone charger. After all, we never leave the house without our charger! And unlike other projectors that require an outdoor screen, this one is powerful enough to cast images on a wall. The Acer C120 uses ColorSafe Technology that takes advantage of DLP® technology to protect against color decay and guarantee a crisp, clear viewing experience despite prolonged use. Acer SmartFormat Technology supports comprehensive wide-format PC signals. You no longer have to worry about annoying "Signal not supported" issues, or you dont have to change the resolution of your wide-format notebook. BenQ is known for producing pricey outdoor projectors and as such, it may come as a surprise that this particular model sells for less than $1000. The best thing about this is that the quality of video imagery is top notch. It comes with a nice lamp life of up to 10000 hours on eco mode. In addition, the BenQ DLP is a Small form-factor and a variety of connection options, including HDMI and VGA the Ben Q is perfect for professionals who are always on the go. As you would expect from a mid range priced outdoor movie projector, this one compromises on a few things. It has SVGA resolution and aspect ratio of 4:3/16:9/16:10.It does come with 3D mode. When using a 3D blu-ray or just a regular Blu-ray the BenQ DLP will not disappoint.This is a great option for a backyard movie night. It will compete with any 1080p native projectors under $1000 any day. This is a small projector that is designed for more than just outdoor use. It features five viewing modes for an enhanced viewing experience. The Viewsonic projects 120 inches (15 feet and 18 inches) away and can last up to 10,000 hours on Dynamic Eco-Mode. It also comes with an industry-leading warranty: 3 years for limited parts and labor coverage as well as a year of lamp coverage. You also get access to their US-based customer service team, which can especially be helpful if you’re facing some kind of issue with it. The projector comes with 3200 lumen lamp as well as 1024x768 resolution to deliver crystal imagery. The projector can be connected to multiple devices thanks to its USB, HDMI and VGA port connections. It also comes with Exclusive SuperColor Technology that offers a broader color range for a richer, viewing experience. The downsides f this projector include low quality sound and high fan noise. This is the upgrade of the Optoma X316 and is jammed with impressive features that are sure to score points among consumers. At just five pounds the Optoma X341 is relatively portable. A nifty feature of this projector is that it adjusts the gmma output to match the color of the projection surface, with wall color adjustment to ensure accurate color projection.We all have experienced at some point where the colors are a bit off due to the surface used and this projector fixes that. It is powered by a Texas Instruments 3300 lumens lamp, whose life is clocked between 5000 and 10,000 hours depending you use the projector on eco or normal viewing mode.It offers several connectivity options including VGA, HDMI, Composite, Audio in/out and USB. As such, you can connect several devices including your laptop, smartphone, amplifier and media players. If you are in the market for the best wireless outdoor projector that your money can buy, the Epson PowerLite is a great investment. What makes this projector so popular is the fact that it is compatible with most media devices, including Apple Mac interfaces. In other words, Mac users can rejoice as they won’t feel left out. Also included is an iProjection app, which ensures that this projector can work with any device. It offers several connectivity options such as HDMI and USB. It comes with a white USB dongle stick and offers standard wireless connectivity. Its portability and quick set up make it popular for a variety of uses. This is the best outdoor movie projector screen that you can invest in. It is an inflatable movie screen that inflates automatically once plugged in. It comes complete with tethering ropes, fans and stakes for maximum durability. Two people may be required to set it up and all the air has to be removed before it can be put into the storage bag. The main downside of this outdoor movie screen projector is that it can’t be used far from the house as it requires an electric power source to work but a quiet generator can easily solve that. And while it may require more room compared to other movie screen projectors on this list, you can rest assured that it’s good value for your money. The screen included features a 150-degree viewing angle and can project on both front and back projection surfaces. This projector screen also comes with a 2-year manufacture warranty by Elite Screens. It comes with a single frame, which makes set-up easy. It also has snap button attachments that eliminate the need for tools during set-up. It utilizes square tube aluminum construction, which makes the frame as light as possible. Also included are stakes, support rings and ropes for added stability to ensure that even during breezy summer evenings, the screen stays put. The frame is robust and sturdy to ensure a long lifespan while the padded carry bag makes transportation of your projector screen to anywhere easy. The screen is edged in black and is generously sized to provide an excellent viewing experience. The Visual Apex ProjectoScreen is a portable movie projector screen that measures 8 feet 7 inches high and 11 feet wide when assembled, making it the perfect solution for outdoor movie nights. And while the increased size is better, it also requires an extra pair of hands to stand after assembly. The manual outlines the assembly instructions clearly in visual illustrations, making setup easy and a straightforward process. And to go the extra mile, there is a set-up video you can watch on the official website of Video Apex. It comes with stakes and a lightweight aluminum frame with ropes for added stability. It also comes with its own carry bag and weighs 36 pounds when parked, making portability easy. The black backing eliminates light from behind the screen to provide a better viewing experience. Unlike other consumer products, buying an outdoor HD projector is not necessarily going to put you in the poor house. You probably need to do a little budgeting during the winter if you wish to have an outdoor projector by summer. Whatever the case, you will realize that purchasing a quality outdoor projector is a worthwhile investment.Regardless of the financial investment, keeping the following factors in mind will guarantee you a great purchase. You want to make sure that your projector has a high level of brightness, and this is measured in ANSI lumens. The brightness for outdoor projectors generally ranges from 1000 lumens all the way up to 10,000 lumens. Of course, the higher the lumens, the higher the cost of a projector. The best range for outdoor projectors is between 2200 and 6000 lumens. A 4400 ANSI lumen project will suffice if you intend to start screening your outdoor movie in the daylight. Your outdoor movie projector should be easily connected. This means considering two secondary factors – content delivery and mobility. Your projector should be mobile if you are solely relying on it for outdoor entertainment. And while many projectors are big and awkward, you can find something that is reasonably sized. Anything whose size ranges from an iPad to a reasonably sized cable box will do. In this day and age, your projector should at least have provision for HDMI connection so that you can deliver content from a streaming stick or laptop. Some projectors come with Wi-fi connectivity as well as internal storage units. Outdoor projectors utilize one of three projection systems i.e. DLP, LCD or LCOS. LCD projectors utilize three mirrors and liquid crystal display technology to cast video imagery. They are the cheapest. DLP projectors, on the other hand, utilize a color wheel and millions of micro mirrors to cast video images on the screen. They cast sharper images and are pricier as compared to LCD projectors. LCOS combines the best qualities of both LCD and DLP technology to cast the crispiest, sharpest images onto the screen.Due to the superior quality of the images they cast, LCOS projectors are extremely expensive and not recommended for average home use. I have watched hours of TV, movies, and test patterns even done some gaming, testing dozens of projectors just to figure out which model best fits your needs. 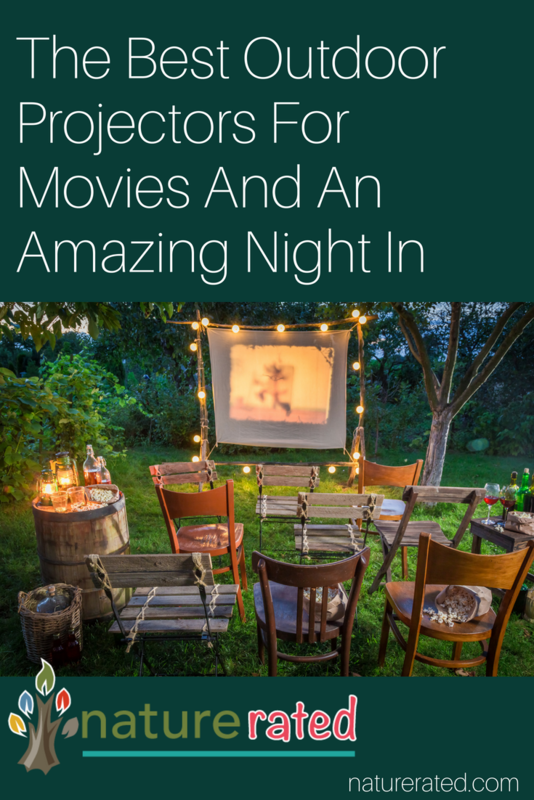 Whether you're outfitting a small space for an occasional movie night or taking your movie night outdoors you have to take a few factors in consideration, In order to create a large image, I have found that most projectors need to be positioned far from the screen. This distance is called the throw distance and can be anywhere from 8 to 15 feet. If you have a projector, you should definitely consider getting a screen. Most modern projectors are bright enough to throw a decent image on just about any white surface, but you won't get accurate colors without a proper screen. A screen has less texture than a wall, plus it will add pop to the image because paint almost always has less gain (meaning, it reflects less light) than a screen, so the image will appear dimmer and thus you will not experience the full potential of your projector. So that's our take on the best outdoor projectors and hopefully this guide makes things clearer. 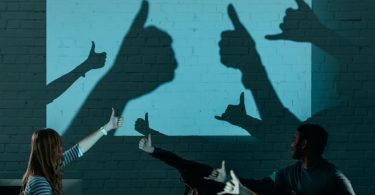 The process of purchasing an outdoor projector doesn’t have to be hard or stressful if you have a quick overview of the top projectors available now. We hope that this guide has put you on the right path in choosing the right projector for you. Save this article for later by Pinning it on Pinterest. Just click the button below.